Kusmi Tea has over 150 years’ experience in providing luxurious blends and is the market leading premium tea brand in France. Headquartered in Paris, this tea company was originally founded in 1867 by Pavel Kousmichoff in St. Petersburg, Russia. Kusmi Tea is now owned by Groupe Orientis. 1800’s – Pavel Kousmichoff was the eldest son of a peasant family who left home to work for a tea merchant in St. Petersburg, Russia when he was 14 years of age. Initiated into the secret world of tea blends, he stayed until his marriage in 1867, when the tea merchant gave Pavel a small tea house as a gift. The business prospered and grew in popularity and by 1880 this tea company was a favorite of the Russian nobility. Pavel created a blend for one of his daughters, called Bouquet de Fleurs, which became the Tsar’s favorite tea. Early 1900’s – Expanding the business to a chain of 10 tea houses by 1901, Pavel’s son Vyatcheslav later opened his own shop in London in 1907. After Pavel’s death in 1908, his son took over the family business, which grew to include a chain of 51 tea houses across Russia. When the Russian revolution occurred in 1917, the family fled to France and opened a store at 75 Avenue Niel, Paris that is still in operation today. Kusmi Tea prospered, in spite of the two World Wars, with new locations in Hamburg, Constantinople and New York. In 1927, Vyacheslav decided to move the main operations to Berlin, due to the large Russian population living there. 1940’s to 2002 – In 1946, Vyacheslav passed away just after the war and his son Constantine took over the operations of Kusmi Tea. Even though he was an artist and loved tea, he was not a businessman, so the business suffered and gradually lost popularity. In 1972 the business was sold while on the brink of bankruptcy, resulting in uneven success over the following decades. 2000’s – In 2003, Sylvain and Claude Orebi took over the business and in 2007, Kusmi Tea launched its Wellness tea line, including the best-selling Sweet Love, Detox and BB Detox teas. 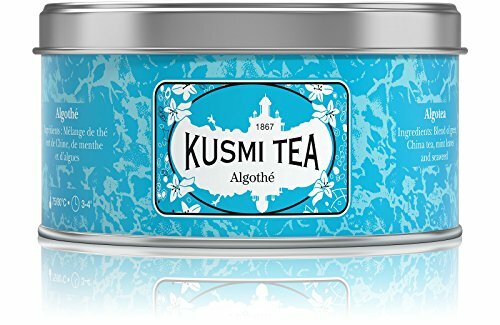 In 2012, this tea company opened its flagship store on the Champs-Élysées and in 2014, Kusmi Tea began a series of advertisements called ‘The Beauty of Blends’, which spotlighted the Kusmi family. Their first digital store, called the KusmiKiosk, was unveiled in Paris in 2015. 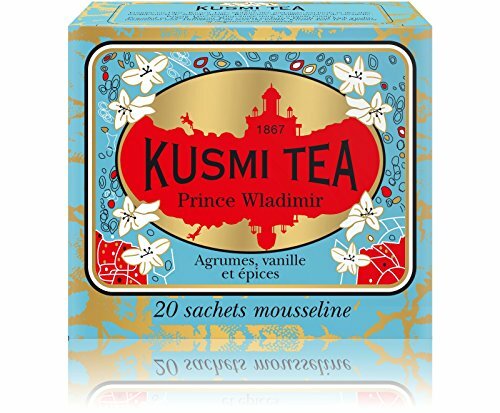 2018 and Beyond – 150 years later, Kusmi Tea has risen to its former glory, still as strong as it was at the time of the Russian Tsars. Now with 85 boutiques in 35 countries and offering over 100 different tea blends produced near Le Havre in France, this tea company cultivates both traditional and modern techniques to craft unique and delicious blends for all. Using whole tea leaves that are flavored with the most delicate extracts, Kusmi Tea offers a Wellness range and exclusive blends along with classics like Earl Grey and Breakfast teas. Infused with perfumed aromatics and crafted from carefully selected botanicals, this tea company brings back the prestige of time-honored tea traditions. 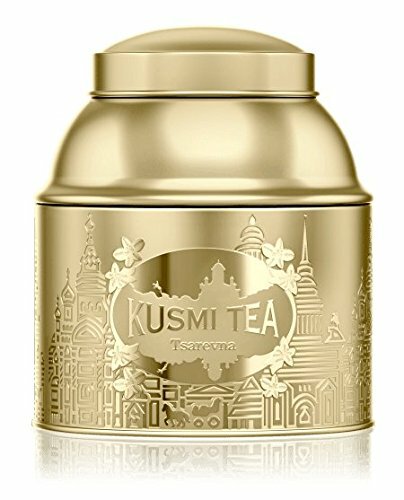 Packaged in beautifully decorated tins for freshness, Kusmi Tea elevates the experience of tea drinking from all angles and also includes ice blends, loose leaf and bagged teas, depending on your preference. This loose tea was created by Pavel Kusmichoff in 1888 in honor of Vladimir the Great, who was the ruler of Russia, to celebrate the 900th anniversary of the Christianization of Russia. A nice twist on Earl Grey, with citrus, vanilla and spices flavoring premium black tea from China, this blend is flavorful and smooth to the last drop. If you’re looking for an unusual tea, then this might fit the bill. A green tea that is flavored with mint and seaweed, this fresh blend invokes a sense of the ocean with a surprisingly delicate flavor, making it an ideal drink to go with a spa session. Full of minerals and antioxidants, this tea is healthy and good for the digestive system. This delightful tea was inspired by the happy times of the Tsars traveling to their winter palace in Saint Petersburg, to celebrate the famous Christmas tree called Tsarevna, which was dressed in glittering gold. A decadent holiday tea reserved for Christmas and special occasions, this rich blend of black tea is infused with orange, licorice, almond, vanilla and other spices to create a gourmet experience. Zesty and naturally sweet, this exotic tea recalls the elegance of Russian princesses and deserves a place on the top shelf. With a rich and exciting history mixed with traditional processes and high-quality botanicals, Kusmi Tea offers the taste of excellence for those who appreciate the finer things in life. Wellness teas, like tea for headaches, and delicious blends are just the tip of the iceberg, with tea accessories, gift sets and collections among many other fine products available.